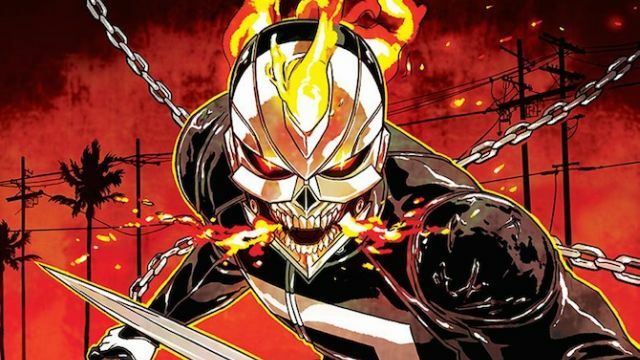 It was confirmed last month that the spirit of vengeance would be riding into Marvel’s Agents of SHIELD and Gabriel Luna will be bringing the character of Robbie Reyes to life. Reyes first appeared in 2014’s All-New Ghost Rider #1 from Felipe Smith and Tradd Moore, a series that only ran for 12 issues before cancellation. That in mind, Luna revealed that they’ll be expanding on the character in the TV series since his source material options are limited. Luna revealed that he will perform the flame-headed version of his character which will be augmented with VFX. In light of the Sokovia Accords, and with Hydra obliterated, S.H.I.E.L.D. has been legitimatized again and no longer needs to operate in the shadows. Since the world presumes that Coulson is dead, the organization needed a new Director to be the face of the organization. Coulson finds himself back in the role as an agent and teamed with Mack, and together they are tasked with tracking down and confirming the presence of Enhanced people, aka Inhumans. They have been trying to track down and capture Daisy, aka Quake, who has gone rogue in an attempt to atone for sins from the past. But with the world believing that Daisy is a dangerous outlaw who has taken down banks and bridges, the new Director has no qualms about taking her down for good. Agent May is tasked with training specialist strike teams, and Fitz and Simmons have taken a big step forward in their relationship. But with Simmons’ new promotion as Special Advisor to the Director in Science and Technology, Fitz, as well as her former team members, finds it hard to confide in or trust her since she’s now the Director’s confidant.